Because it is holiday time, I’m jumping on the bandwagon with a gift guide for 2012. I am a firm believer that the best gifts are small and thoughtful and not over the top BUT I am pretty sure I would change my tune in a hot second if I ever woke up on Christmas morning and there was a brand new Lexus parked in the driveway with a red bow on the hood. While I patiently wait for that to happen it is all about gifts that are in the “thought that counts” category (which as I hope you agree, are totally better anyways). Plus I think it is probably best if we all buy our own cars, right? I have received lots of emails from you about gift ideas for your favorite baker so this list was made with bakers everywhere in mind. 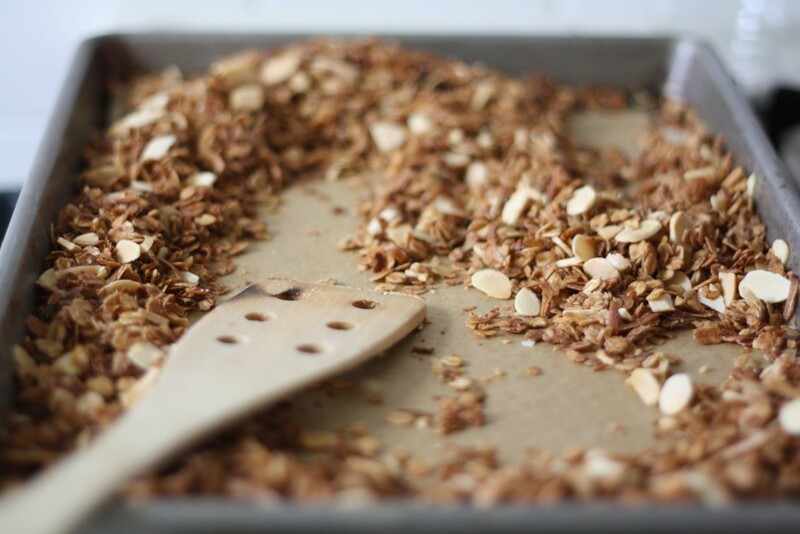 Hopefully if you are baker you have all the mixing bowls, measuring cups, and whisks that your little heart desires but these items are just a few little things that the lover of baked goods in your life will appreciate. 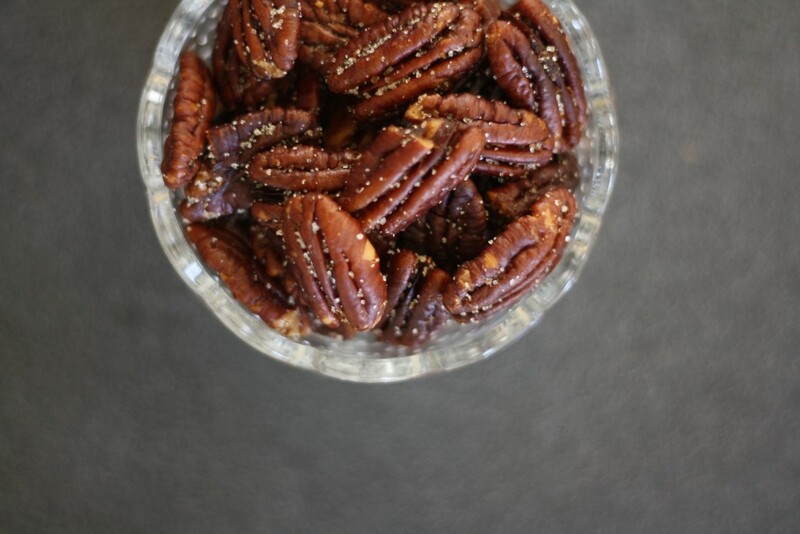 Or perhaps you need a little holiday treat as well (I will not judge if that happens to be the case). 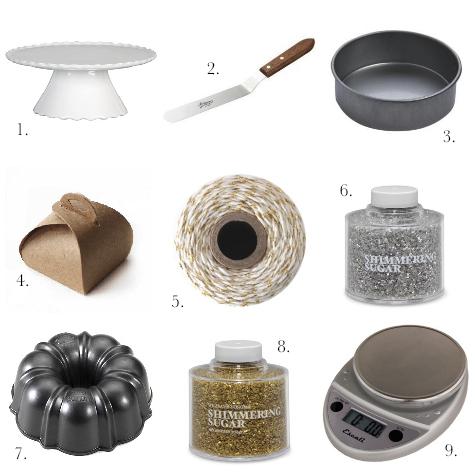 Friends – I give you BMUB’s 2012 holiday gift guide for bakers! 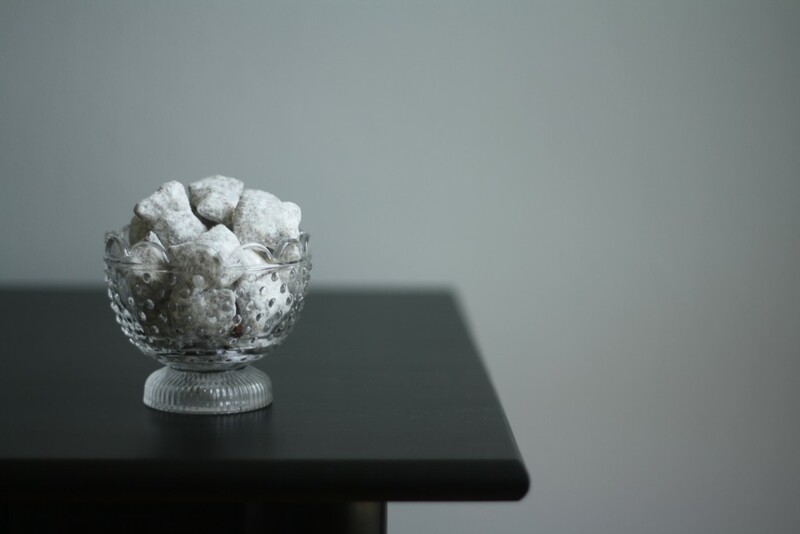 If you have not yet invested in a cake stand or know someone who would benefit from having one in their life, I suggest not waiting another minute. I love this one because it has just a hint of a lip to catch any pesky, dripping glazes and also comes in three sizes just in case you want to go wild on cake stands! One could make the argument that an offset spatula is hardly a gift and I mean, you may be right since opening a perfectly tied present to find a small spatula could be a bit of a let down. It would however make the perfect stocking stuffer or tied with a ribbon as part of a package topper. And if you don’t have an offset spatula, having one in your arsenal will make you An Official Baker Extraordinaire. After your first time using one, you will never know how you lived without it when frosting cakes, cupcakes and cookies. You may have a standard set of 9-inch cake pans, but did you know you can cut any standard cake recipe in half and it will fit perfectly into two 6-inch cake pans! Is that amazing or what?! I know, math rocks. A small little layer cake is perfect for dinner parties, or birthday celebrations where there will be other treats, or just because you want to make a cake and can not bring yourself to make a huge 9-inch cake. Regardless of the reason of why you need a tiny cake, it is sure to display perfectly on that small cake pedestal up top. I had to add these – not because I would give the boxes as a gift – but because I have an obsession with tiny things. Okay, okay, fine and that these little boxes would be perfect for wrapping up a single serving of boozy brownie balls and then bringing them by the dozen to all the co-workers (or babysitters, or mechanics, or dog walkers, etc.) in your life. Metallic sanding sugar is one of those things that you might not buy yourself because it feels too extravagant. I have the same relationship with fancy soap. I just can’t justify spending $17 dollars on a single bar and fancy sugar is in the same category. It makes all baked goods glimmer for the holidays, especially these little cookies which only need a little metallic lovin’ and you got yourself a classy New Year’s Eve cocktail cookie all dressed up and ready for the occasion. Fact: Bundts make life better. A cake pan collection is not complete without a classic, sturdy Bundt pan and this one will last you for forever and ever. I have probably gone on a bit too much about why using a kitchen scale is far superior to metal measuring cups. You may still not believe me that it is better which is why I made a tutorial to “scale” back everyone’s fear on this route of measuring. A kitchen scale may not be the first sort of thing you think of to buy yourself, so why don’t you give the gift of precision to someone else! Once you go kitchen scale, you’ll never go back! Aww I love the sparkles!! Great guide! Thank you!! Sparkles for all! Perfect list…I might have to treat myself to a bundt pan…how have I made it this far without one? Yes, it’s due time to treat yourself to a holiday Bundt!! I think this is the perfect baker’s gift guide! I agree that it is the thought that counts, and although I have most of those items in one shape or another, if I was given any of those items this Christmas I would be ecstatic! I will share this with my husband now! I have that very scale and it’s wonderful for weighing mail to send out, particularly for overseas. Agreed! Use mine for mail all the time!! Comes to blog. Sees gift guide. Proceeds to send link to everyone she knows. thankyou! Ha! Awesome! Hope an offset spatula and mini cake pans are in your future! I love everything on this list. I am starting a home bakery soon and i need everything here. I need pans and the glitter most of all. I would love to know how to apply sugar sanding all over a cake. I want to make wedding cakes most of all. Maybe i can use my psychic ability to bring the baking pans my way.LOL. i love baking it brings be such joy. I love this blog. Thanks for sharing! Thank you Dina – I hope the baking pans come your way as well! Also, I found this tutorial on applying sanding sugar to a cake (I’ll admit the all-black Halloween theme is a bit dark for this time of year, but the technique is what matters!) A small cake covered in glittery gold and silver would be stunning!! Happy baking!